Imagine Color Challenge with a $30 Give-A-Way!! We are announcing the Imagine Color Challenge for the month of February! 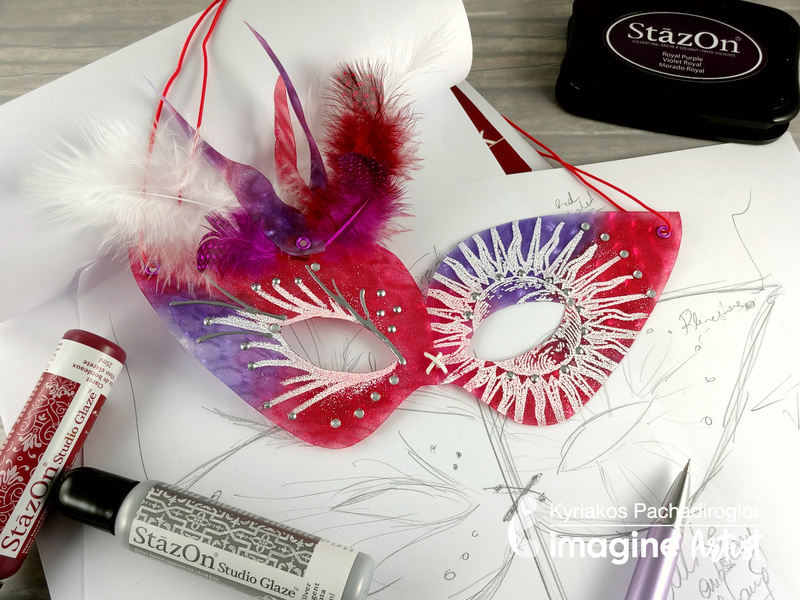 Use rich raspberry colors from any Imagine or Tsukineko product in any crafty project. The project can be a card, scrapbook page, mixed media focus, home décor, etc of any size or shape. Post a finished project with mention of our product by February 28th on your social media. Follow us on Facebook, Instagram or Twitter and tag the photo of your project with the hashtag #imaginecolorchallenge. At the end of the month, our team will select a random winner from all who have participated! We will be re-posting or sharing some entries all month long! At random lottery selection of those that met the requirements. We will comb through all the social media posts and enter your name into a random lottery. $30 dollars of products from the Imagine Shop shipped anywhere in the US. Must use Tsukineko or Imagine products and name them. Example: Fireworks Craft Spray, Memento Luxe, VersaFine, VersaMark, etc. Projects posted between February 1 and February 28, 2018 (at midnight PST) are to be considered. 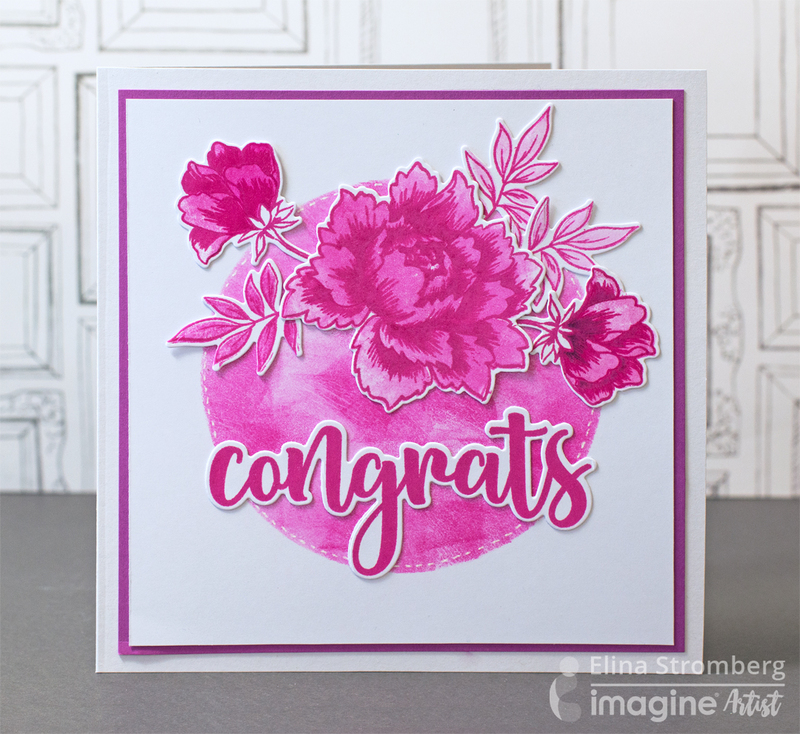 Elina Stromberg has created a Congrats card using VersaFine Clair. Kyriakos Pachadiroglou created a lovely Mardi Gras mask using StazOn Studio Glaze. Jowilna Nolte has created this lovely scrapbook layout using VersaFine Clair and Fireworks Shimmery Craft Sprays. Thank you visiting the Imagine blog and stayed tuned for more on these and other lovely projects! This entry was posted in 2018 ARTIST IN RESIDENCE, Beginner, Cards, DIFFICULTY LEVEL, DIY, Elina Stromberg, Embossing, Holiday, INSPIRATION, Jowilna Nolte, Kyriakos Pachadiroglou, Lifestyle, PROJECTS, Scrapbooking, Techniques, Tools and tagged Color Challenge, Color of the Month, Raspberry Red, StazOn, VersaColor, VersaFine Clair. Bookmark the permalink. Love the example creations. And raspberry red is the perfect color for February!